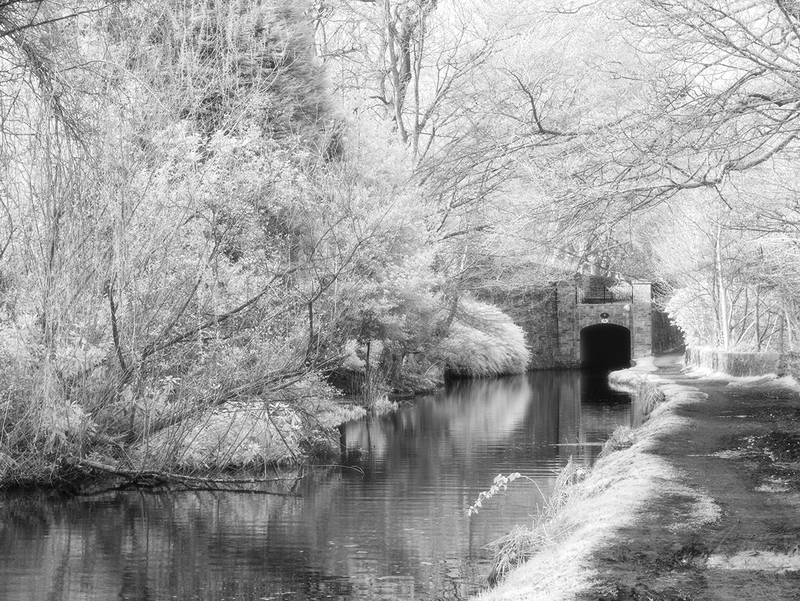 Taken with a Panasonic GX1 converted to shoot infrared. Post processing in Alien Skin Exposure 7. I’m excited. I have bought a second EM5 body given the recent drop in prices. It’s second hand but has a low shutter count. 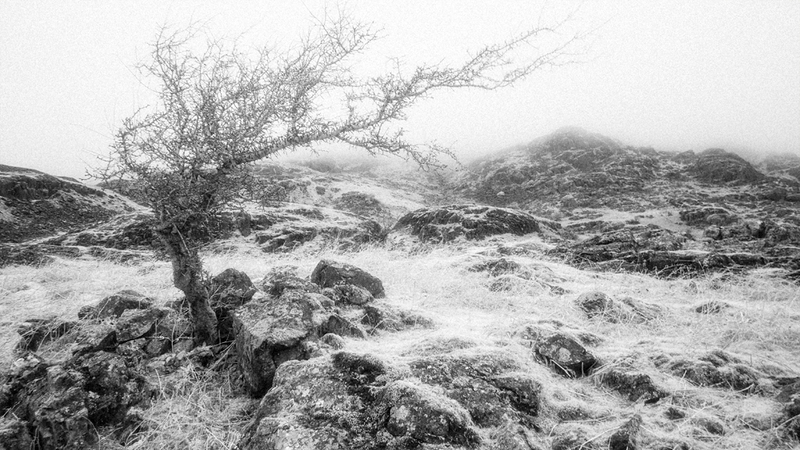 In fact I didn’t want a new EM5 as I am going to get this one converted to Infrared. When I had the GX1 converted I used a company called ACS. They did a good job but took an age to do the conversion. This time I have spoken to a company called ProTech who a friend has used for a few conversions. I hope to take delivery of the camera this weekend and then it’s off for the conversion. I hope to be able to report back in a few weeks time and make some comparisons regarding image quality. The dam at Ladybower. Captured on a Panasonic GX1 converted to shoot infrared then processed in Nik Silver Efex Pro and Nik Analog Efex. With it being a Bank Holiday in the UK today and for once the weather not being terrible, I went for a walk. I like quite near to the Peak District National Park but for some reason I seldom visit. Today I decided I wanted a good walk in the hills so drove over to Ladybower reservoir which is about 50 minutes from my house. 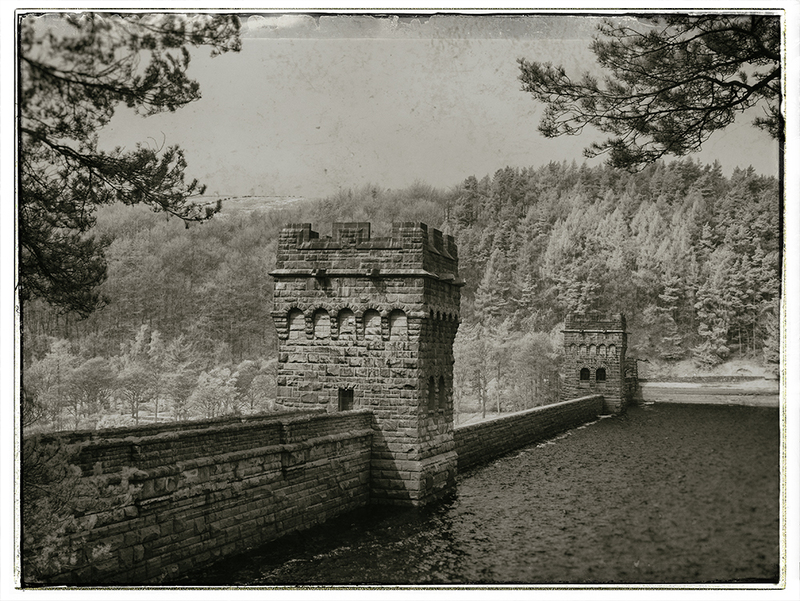 When I first became interested in photography I remember seeing some old images of the dam at Ladybower and I thought these images were wonderful. The Victorians certainly knew how to engineer wonderful structures but the age of the images also made these more appealing. I recall visiting the area about 10 years ago in the hope of being able to recreate these wonderful images but it wasn’t to be. Today I was able to create something that I quite liked using my Infrared camera. But it wasn’t until I took the image into Nik Analog Efex and applied a little emotion that the image came to life. Trying to create an image such as the one above was almost impossible for me 10 years ago but today it took minutes. I wonder what photography will be like in another 10 years. Captured on a GX1 Infrared converted camera. As some of you may already have gathered, I love Infrared Photography. It’s much more frustrating than traditional photography to create good images but the challenge makes it more rewarding. It also opens up a new world of seeing as scenes can take on a completely different appearance. Also, when the time of day or weather isn’t great for traditional photography you may find that it is great for Infrared. Here’s one of my Infrared images that I wanted to share. Captured last March on a trip to San Francisco (wow is it really almost a year ago). The scene is very ordinary and the light was a bit too harsh to create a good image. Looks much better in Infrared. I missed sharing my Friday Image over the Christmas and New Year break so here is the first one of the New Year. 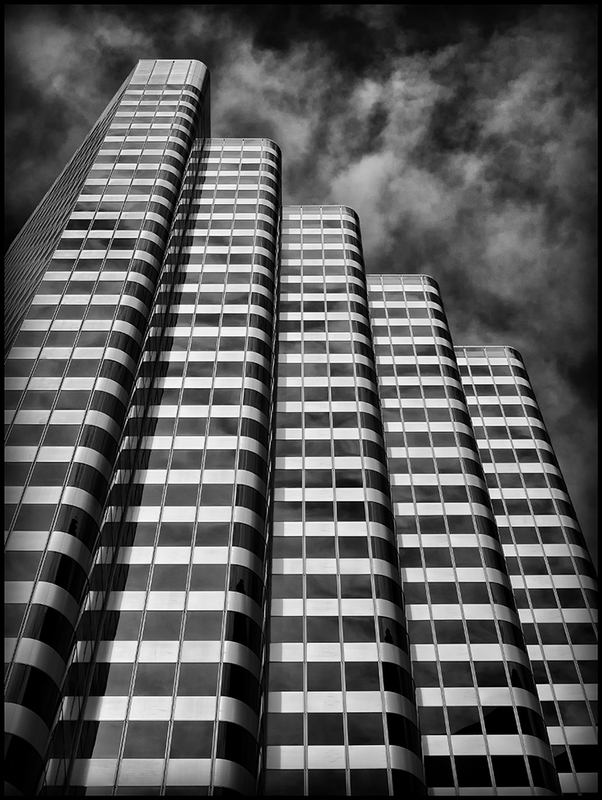 I shot this image back in March last year on a trip to San Francisco. I don’t know the name of this building and the only location details I have are that I was in the Financial district (I think) when I shot it. 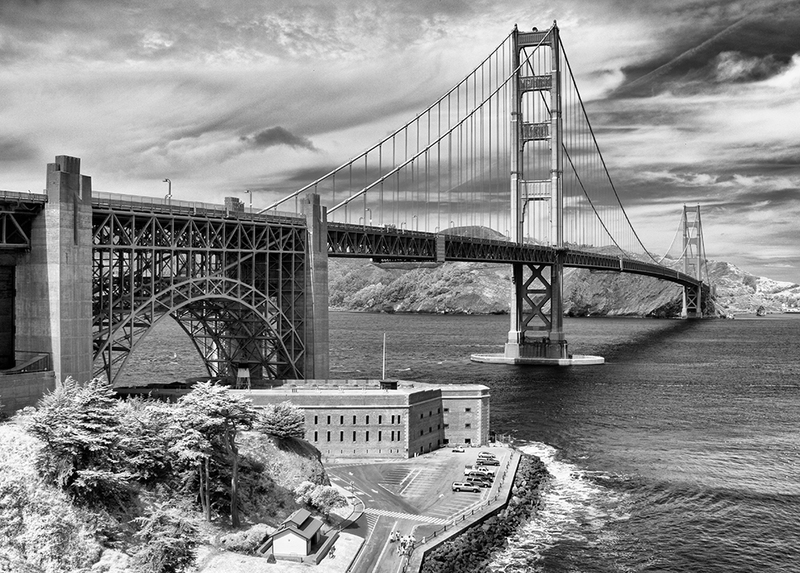 The capture was made using a Panasonic GX1 that had been converted to shoot Infrared. I know most infrared images tend to involve trees, plants and water but it’s easy to forget you can get some great results in the city. I also plan to produce one of my fact sheets for this image, describing how it was processed because it makes quite an interesting study (well I think so at least). Because the image was shot on a digital infrared converted camera there really isn’t as much information in the colour channels as you might expect from a standard colour shot. My plan is to produce an enlargement for printing at A2 so it will take some careful processing to achieve this given the nature of the image file. I will put a note on the blog once the fact sheet is available. So, I have done it. I returned the 14-140 lens for a refund and the money has gone against a Sony RX10. My first impressions are that this is quite a large camera. Actually, it’s not a camera at all but a huge lens with a sensor stuck on the back. You might feel that I am being unkind but this is exactly what I expected and even wanted. It reminds me so much of the beloved R1 that I sold a few years back. This camera oozes quality and the dials and buttons are a joy to use. In terms of size, it’s larger that my GX1 (which is now Infrared only) and it’s even slightly larger than the EM5 (which I absolutely love). It’s not however as large as either of these cameras plus the three lenses I would need to cover the same focal length as the 24-200mm lens. The lens also seems to produce great image quality across the entire focal and aperture range. It’s early days yet though. Annoying limitations at the moment are that I don’t yet have a 62mm filter ring so I can’t really shoot good landscapes. Lightroom also doesn’t support the RAW files so I am having to use the dreadful Sony RAW converter (at least until Adobe release an update). I hated this software when I had an NEX5 and I still hate it now. 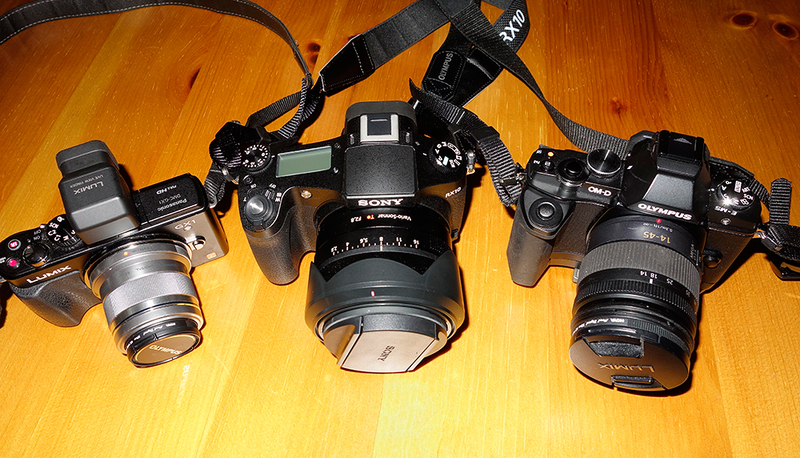 I’m looking forward to really getting out with the camera. It’s nice that it’s a sealed unit so less chance of dust getting in there. I also don’t need to stop to change lens so I am thinking this is a great hiking camera for the hill and it should make for a great travel outfit also. I will report back on the image quality when I have been able to put it through its paces properly.